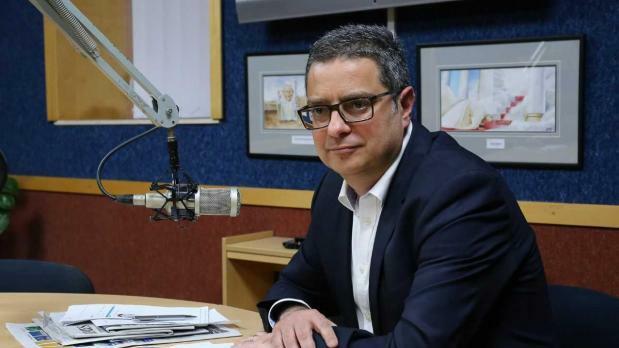 Some sections of the media were harming the country, Opposition leader Adrian Delia said on Sunday, standing by his decision to sue a media organisation that reported details about his marital breakdown and the ensuing political fallout. Speaking during an interview on the Nationalist Party’s NetFM, Dr Delia said a “small part of the media” seemed to be engaged in a coordinated attack against him which coincided with him climbing in the polls. “All of a sudden a part of the media launched a personal campaign when they knew I was going through personal issues, when they knew my wife and I had agreed to keep these issues private. Part of the media, working in cahoots, has engaged in mudslinging at Adrian Delia, at the Delia family, and at the PN,” he said. Dr Delia said these sections of the media claimed to be working in the best interest of the country, but were actually dancing along to the Labour Party’s tune. He said that while he may be accused of bullying the media through his decision to seek legal recourse against Lovin Malta, he would not stand down and allow untruths to be spread. He would also take the same position with any other media house, he warned. Dr Delia also weighed in on the controversial Corinthia hotel development. Times of Malta last month reported how the Corinthia Group will be paying the government just €17 million to build up to 100,000 square metres of residential and office property in St George’s Bay. Sources indicated that the piece of land carried a current market price tag of at least €700 million. Dr Delia said. The people would ultimately judge this deal that was coordinated by Minister Konrad Mizzi, he said. Asked about the conclusion of Valletta’ stint as European Capital of Culture, Dr Delia said it had become clear that this had not been about the arts and culture, but about fattening the pockets of a select few. Times of Malta reported how more than 280 direct orders were handed out to individuals and companies in the first six months of last year. V18, Dr Delia said, had given nothing to culture but had given millions to friends of the current administration. Finally, Dr Delia referred to financial services operators’ concerns on a dip in Bitcoin value. While he would not speculate on matters like this – insisting he would leave that to others who often spread "fake news"– Dr Delia said he was concerned that the government had remained worryingly silent on the future of Cryptocurrency. After months of campaigning for Malta to be considered “the Bitcoin Island”, the government was dead silent on the future of this volatile asset. Investors, he said, deserved to know what the government’s position was.